Early bird or night owl? Although I have a slight obsession with owls, I can’t say that I love to stay up late. I’m usually the friend who misses the late night group chat messages, overnight Twitter debates and crazy Snapchat stories – all because I value my nightly sleep. No, I do not go to bed ridiculously early, but I do enjoy relaxing under my covers by 11PM latest! I’ve always been inclined to wake up early, even when I try to sleep in. However, it works to my advantage – I get work done with little interruptions and distractions while still having a full day ahead of me. I personally think being an early bird is quite lucrative, something we all should attempt to become. But how? First, you’ve got to go to bed…at a reasonable hour with no distractions. Take a nice shower, relax and slowly start decreasing the amount of electronics around you. Noise from the television and bright lights from your cell phone can distract you from a sound sleep. Hit the sheets around 10:30 – 11PM. Even if you’re not completely asleep, make sure your relaxing in your bed. Stop hitting the snooze button. It’s perfectly fine to keep laying for a couple minutes, but you must force yourself up and seize the day! The first few mornings will be hard but you have to push through any grogginess. Remember, the more rest you get the night before, the easier it’ll be to rise in the morning. Now it’s time to get to work! We may all feel like Eve sometimes when we first open up our work in the morning, but we eventually find our groove. Start with an assignment or a task that you like or enjoy doing. If you can’t get started, take a walk, listen to some music or any activity that helps wake you up. Guess what? Now you just repeat (and adjust!) again every morning! Becoming a morning person isn’t easy if it doesn’t already come natural to you, but it is always possible. Go conquer the world before everybody wakes up! Post your early bird routine in the comments below! I NEED to follow these tips. Seriously. The hardest part for me is getting to bed at a reasonable time because I tend to be the most productive at approximately 11pm every night haha. 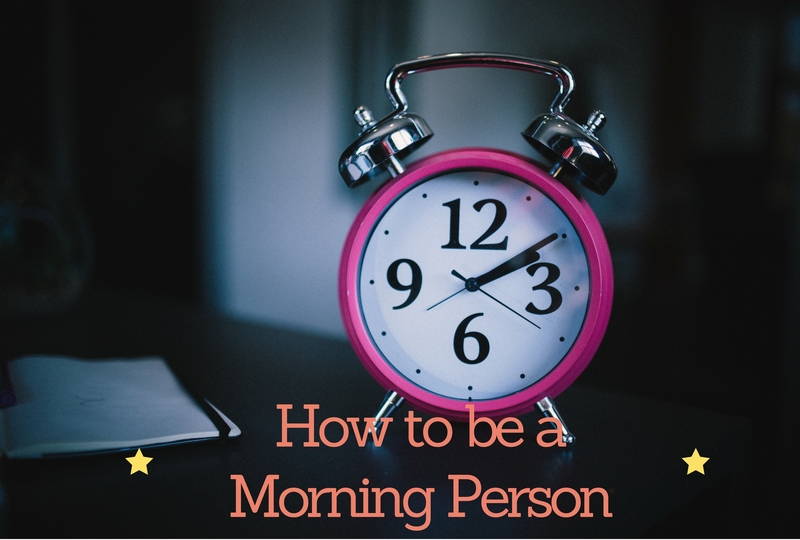 Maybe if I become a morning person that will start to change… Thanks for sharing!